What's the Point of Points, Anyway? There are two types of points. Discount points are prepaid interest on your mortgage loan—you’re basically paying finance charges in advance. Discount Points are used to "buy" your interest rate down. This is known as a rate "buydown." A general rule of thumb is that one full Discount Point will lower your fixed interest rate .250 percent or your adjustable rate .375 percent. Lenders regard this type of points as covering their cost for offering a lower interest rate over the length of the loan. The more points you pay, the lower the interest rate on the loan, and the fewer you pay, the higher the interest rate. Paying discount points is a good idea if you plan to live in the house for a long period of time. Origination points are charged by the lender to offset the costs of making the loan or to boost profits. Most loan officers’ compensation is based on origination points, but they still may be negotiable in whole or in part. Some lenders add origination points into their quoted points while other lenders add an origination point in addition to their quoted points. Where discount points serve the borrower by lowering the interest rate, origination points are gross profit for the lender. They are not tax-deductible. 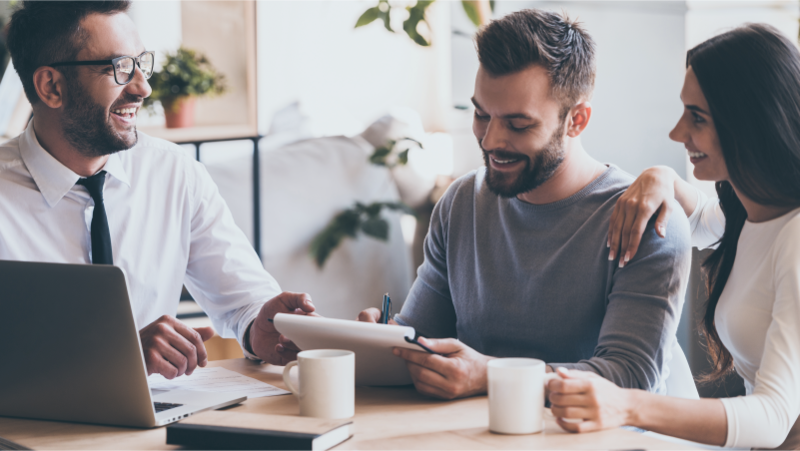 We're happy to refer you a few lenders that can help you wade through the loan options to find the program that makes sense for you.